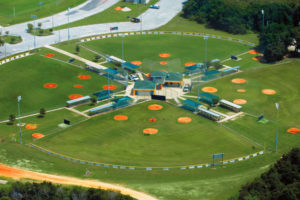 A multi-purpose sports complex consisting of nine collegiate-size baseball fields and 11 lighted soccer fields. 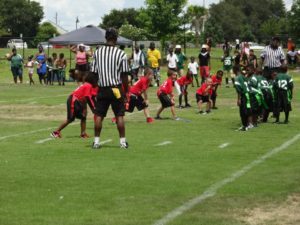 Events hosted at Lake Myrtle have varied from dog agility championships, to regional rugby championships as well as lacrosse, flag football and baseball. 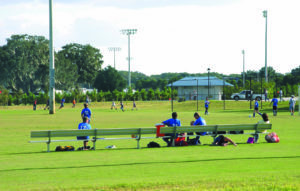 The 83-acre park includes six soccer/football fields, concession stand, a ­playground, tennis courts, racquetball courts, basketball courts, a boat ramp, a pavilion for special events, picnic facilities and an exercise trail and a dog park. Bryant Stadium, with a capacity of 5,000, is home to both lacrosse and football. 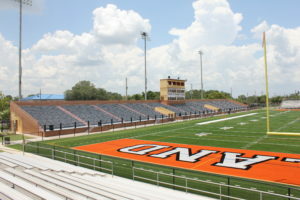 It is named for Thomas W. Bryant, a prominent Lakeland attorney who was longtime supporter of the Lakeland High School football team, which calls Bryant Stadium its home. A favorite among softball and soccer enthusiasts alike. 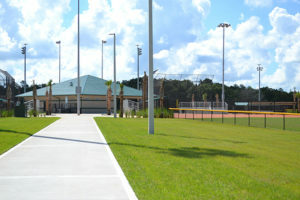 A popular youth softball location conveniently located in Lakeland. 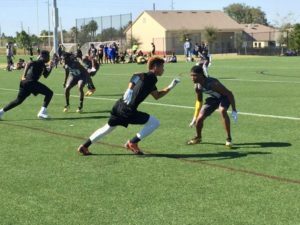 Conveniently located in Winter Haven, it hosts everything from football and soccer to dog competitions and even an occasional cricket match. 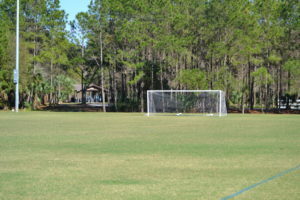 A multipurpose field located in Lakeland, the Cypress Youth Sports Complex is often used for soccer and football. 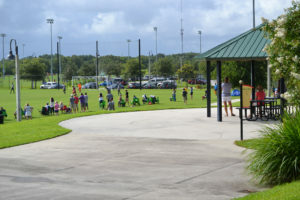 The largest park in Lakeland feels like the city's most intimate one. 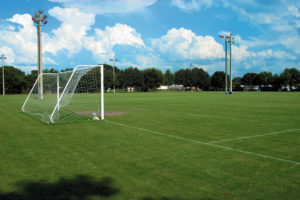 Lake Bonny Park offers all kinds of amenities for the athletically inclined, including two baseball fields, a softball field, a soccer field, a multi-purpose play area, and a fitness trail. Little ones have two playgrounds where they can swing, climb, and slide. 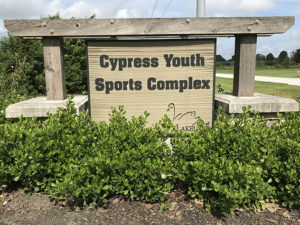 A favorite among youth teams and mountain bikers, Loyce E. Harpe Park features multiuse fields, Little League baseball fields, softball fields and more in an area where phosphate was once mined.